PLEASE ENSURE YOU ARE AT SHOWINGS ON TIME. WE ARE ONLY AT THE UNITS FOR A SHORT AMOUNT OF TIME. IF YOU ARE LATE YOU RISK MISSING THE SHOWING ALTOGETHER. Studio apartment available at the Sierra Vista Apartments on Foothill Blvd. Newly painted, new hardwood floors. Next to shopping center. All utilities except internet are included. No pets considered. Studio Apartment close to downtown San Luis Obispo! Trash Included; Tenants responsible for all of other utilities; One tenant maximum; No pets considered; Small shared outdoor space. Studio Apartment in Victorian Flat close to downtown and restaurants; Trash Included; Tenants Responsible for All Other Utilities. One tenant maximum; No pets considered! 1 bedroom 1 bathroom victorian apartment, near downtown! Walking distance from SLO's favorite restaurants, coffee shops, and shopping destinations! Parking available; Trash Included! Renter's Insurance Required; No Pets Considered. 1 Bedroom, 1 Bathroom Apartment close to Cal Poly. Washer/dryer hookups; Water, sewer, trash included; Tenants responsible for all other utilities; Off-Street Parking; Two tenant maximum; No pets considered. All Tenants are required to be at the showing. No exceptions. 1 Bedroom, 1 Bathroom Apartment Close to downtown! Water, Sewer, Trash Included; Tenants responsible for all other utilities; Two tenant maximum; No pets considered: Shared outdoor community space. 1 Bed, 1 Bath Rear House; Close to downtown! Tenants pay all utilities; No pets considered; Renters insurance required! 2 bedroom, 2 bathroom Townhome in downtown San Luis Obispo! Off street parking; Washer/Dryer Hook-ups; Tenants Responsible for all Utilities; No pets considered. 2 bedroom, 1 bathroom Condo; Private Balcony; Approx. 878 sq/ft., off-street parking. Community Laundry Room; Tenants Responsible for all Utilities. 2 Bed, 1 Bath Victorian style flat; Close to downtown and restaurants; Tenants pay all utilities except for trash; No pets considered; 3 TENANT MAXIMUM. AVAILABLE BEGINNING OF AUGUST! Renters insurance required! 2 Bed, 1 Bath Victorian style flat; Close to downtown and restaurants; Private Deck; Community Laundry; Tenants pay all utilities except for trash; No pets considered; 3 TENANT MAXIMUM. AVAILABLE BEGINNING OF AUGUST! Renters insurance required! 2 Bed, 2 Bath House; Close to downtown! Washer/ Dryer Hook ups; 3 Off-Street Parking Spaces! Tenants pay all utilities ; No pets considered; Renters insurance required! 2 Bed, 1 Bath House; Close to downtown! Washer Hook up; Off-Street Parking Spaces! Tenants pay all utilities Except Trash; No pets considered; Renters insurance required! 2 Bed, 1.5 Bath Condo; Close to downtown! Enclosed Yard; Working Fireplace! Off-Street Parking! Tenants pay all utilities; No pets considered; Renters insurance required! Live walking distance from the heart of downtown San Luis Obispo, in this beautiful, Historical, Victorian Home! Large Landscaped Back Yard; Across the street from SLO’s best coffee shops and restaurants, and just a short drive Cal Poly. This home features hardwood floors, a gas fireplace, and a bonus loft space! Comfortable for up to 4 tenants! 2 Bedroom, 1 Bath Upstairs Apartment! Washer/Dryer Included; Off-Street Parking; Quiet Neighborhood; Tenants Responsible for all Utilities. 2 Bedroom, 1 Bath Condo! Washer/Dryer Hook Ups; Off-Street Parking; Quiet Neighborhood; Small Enclosed Yard; Water, Sewer Trash Included! No Pets Considered. FOOTHILL COURTYARD TOWNHOMES, 730 - 748 Foothill blvd! Each 2 bedroom, 2 bathroom condo comes with a loft (like 3rd bedroom). Included is a private 2-car garage, a patio, porch or balcony, kitchen with a microwave, dishwasher, and refrigerator with an ice maker. 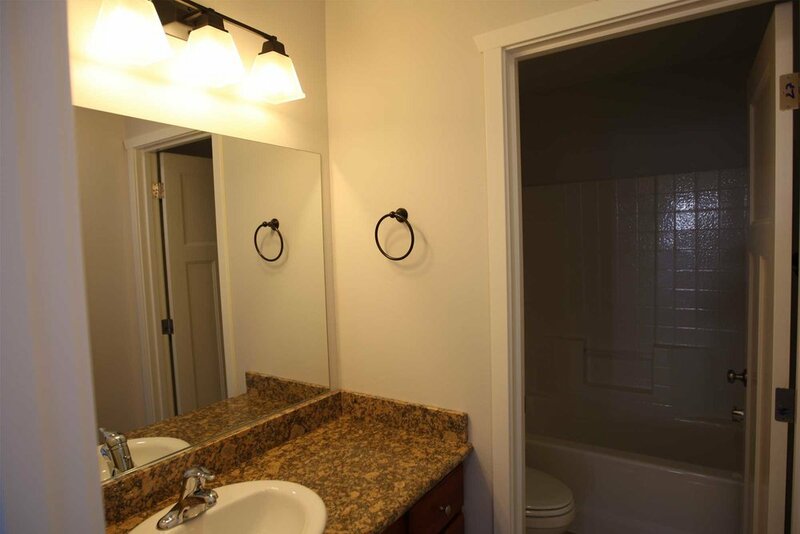 There is a washer and dyer in each unit and the homes include granite counter tops. Each home is designed for high-speed internet, digital cable TV/HDTV and multiple phone lines. The common areas include a BBQ and dining patio. No pets will be considered and there is a maximum of 4 people per home. NOW LEASING FOR 2019 - 2020 YEAR!! MOVE IN SPECIAL! ANY DEPOSIT RECEIVED BY 04/30/2019 GETS HALF OFF FIRST MONTHS RENT!!!! APPLY NOW! Half off of first month of rent for all remaining units! Take advantage now as the units are going fast! BIKE TO CAL POLY, LIVE DOWNTOWN! Enjoy living close enough to bike to Cal Poly while also getting to enjoy the many activities and amenities that downtown San Luis Obispo has to offer. Each unit offers a luxurious 2 bedrooms and 2 bathrooms with a spacious 3rd floor loft (like a 3rd bedroom). The homes are energy efficient with a sound insulating design, provide 1,100 +/- sq ft of living space and a small yard. Each kitchen is equipped with a self-cleaning oven, frost-free fridge, dishwasher, microwave & hood fan and granite counter-tops. All units are unfurnished with a washer and dryer. All units include 2 off street parking spaces in downtown San Luis Obispo for $50.00 per month per space, which is included in the rent (tenants may opt out of these spaces and pay less rent). Remodeled 3 Bedroom, 2 Bathroom condo with hardwood floors throughout. Quartz counter tops and custom cabinetry. +/- 1400 sq ft. Attached 2 car garage; Washer and Dryer included; Tenants pay all utilities; No pets considered. **Half off first months rent! This offer won’t last long! Call for more information! ** 3 bedroom, 2 bathroom Victorian flat; Tenant pays all utilities except trash; Community laundry room; No pets considered; MAXIMUM OF 4 TENANTS. 3 bedroom, 2 Bathroom Condo off of Los Osos Valley Road! +/- 1000 sq. ft. Community pool, 1 assigned off street parking space, small storage shed near carport; Tenant pays all utilities; no pets considered; Community laundry room. Cozy 3 bedroom, 1 bathroom apartment in downtown Victorian house. On-site laundry room included. Trash paid. 4 bedroom, 3 bathroom single family home! Large enclosed Back Yard, all cemented; Large Upstairs Loft with pool table ; 2-Car Garage; Washer/Dryer Included; Hot Tub in Back Yard; Front yard landscaping included; Large living room with functioning fire place! Tenants Responsible for all other Utilities. 1.5 year lease only! 5 bedroom, 3 bathroom single family home! Large enclosed Back Yard; Working Fireplace! 2-Car Garage; Washer/Dryer Included; Tenants Responsible for all Utilities. 5 bedroom, 2 bathroom single family home! Small enclosed Yard; Carport Parking; Washer/Dryer Included; Tenants Responsible for all Utilities. Unit No Longer Available. Showings are Cancelled.